Below you fill find all funeral homes and cemeteries in or near Quakertown. Quakertown is also known as: Bucks County / Quakertown borough. Zip codes in the city: 18951. 135 West Pumping Station Rd. Some of the notable people born here have been: Tim Lewis (american football player and coach), Robb Riddick (american football player), Chris Freihofer (casting director and actor), , and Laney D'Aquino (film art director and film producer). Quakertown is a borough in Bucks County, Pennsylvania, in the USA. As of the 2010 census, it had a population of 8,979. The borough is 16 miles (26 km) south of Bethlehem and 29 miles (47 km) north of Philadelphia, making Quakertown a border town of both the Delaware Valley and Lehigh Valley metropolitan areas. 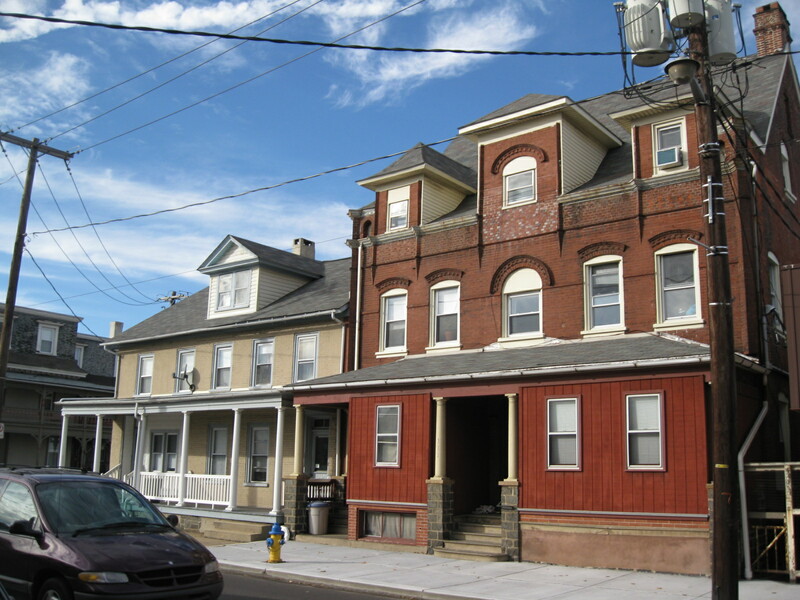 Quakertown is considered part of the Allentown−Bethlehem urbanized area and the Philadelphia−Camden−Wilmington (PA−NJ−DE-MD) MSA. It was revealed by The Roanoke Times & World News on May 1st, 2018 that William Andrew Fahrbach passed on in Troutville, Virginia. Fahrbach was 82 years old and was born in Quakertown, PA. Send flowers to share your condolences and honor William Andrew's life. It was noted by San Diego Union-Tribune on March 29th, 2015 that Arnette Susan Wildonger (Liester) perished in Vista, California. Ms. Wildonger was 81 years old and was born in Quakertown, PA. Send flowers to express your sorrow and honor Arnette Susan's life. It was reported on February 16th, 2015 that Dominic M Gasbarro died in Quakertown, Pennsylvania. Gasbarro was 93 years old. Send flowers to express your sorrow and honor Dominic M's life. It was noted by Tampa Tribune on July 25th, 2014 that Willard R Weidner passed on in Tampa, Florida. Weidner was 75 years old and was born in Quakertown, PA. Send flowers to share your condolences and honor Willard R's life. It was written by The Daily Journal on June 27th, 2014 that Helene Dorothy Yocum (Gabor) died in Millville, New Jersey. Ms. Yocum was 86 years old and was born in Quakertown, PA. Send flowers to express your sorrow and honor Helene Dorothy's life. It was disclosed by Altoona Mirror on January 14th, 2014 that Miriam Elizabeth Smith (Beam) passed away in Quakertown, Pennsylvania. Ms. Smith was 97 years old. Send flowers to share your condolences and honor Miriam Elizabeth's life. It was written by Journal News on December 11th, 2013 that Leonard R Myers died in Columbus, Ohio. Myers was 75 years old and was born in Quakertown, PA. Send flowers to express your sympathy and honor Leonard R's life. It was reported by The Phoenix on May 18th, 2013 that Concetta Stalletti (Gigliotti) died in Quakertown, Pennsylvania. Ms. Stalletti was 81 years old and was born in Maida, . Send flowers to share your condolences and honor Concetta's life. It was disclosed by Williamsport Sun-Gazette on May 14th, 2013 that William Edward Schwer passed on in Quakertown, Pennsylvania. Schwer was 86 years old. Send flowers to express your sorrow and honor William Edward's life. It was written by Arizona Republic on March 24th, 2013 that Joseph Cary Leister passed away in Arizona. Leister was 58 years old and was born in Quakertown, PA. Send flowers to express your sorrow and honor Joseph Cary's life. Quakertown is a borough (Pennsylvania) in Bucks County, Pennsylvania County, Pennsylvania, in the United States. . . . . The official website for the city of Quakertown is http://quakertown.org/. Visitation is from 9:30 to 10:30 a.m., Thursday, Falk Funeral Homes & Crematory ... are to be made to St. Luke's Hospital Dialysis Unit, 1021 Park Ave., Quakertown, PA 18951. Naugle Funeral & Cremation Service, 135 W. Pumping Station Road, Quakertown, where friends may call from 3 to 4 p.m. Memorial contributions may be made in his name to St. Luke's Hospice House, 2455 Black River Road, Bethlehem, PA 18015 Jeffrey A. Listing all funeral homes in Quakertown, Pennsylvania so you can easily send flowers to any location (same day delivery) or find any funeral service. Find crematories & Crematories in Quakertown, PA. Read business reviews, find driving directions, and more. crematories on YP.COM. Quakertown Florists - Flowers Quakertown PA - Tropic-Ardens, Inc.
We work with local florists and flower shops to offer same day delivery. You will find budget sympathy flowers in Quakertown here. Our funeral flowers are cheap in price but not in value.